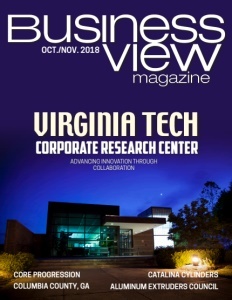 Business View Magazine interviews Scott Johnson, County Manager of Columbia County, Georgia, as part of our focus on best practices of local governments. Columbia County, Georgia, is located on Clarks Hill Lake in the eastern part of the state, just west of the City of Augusta. It is a thriving community and, currently, one of the fastest-growing counties in the United States, with a population nearing 150,000. Major news outlets have called Columbia County one of the best places to live, especially for those with young families. It boasts rising incomes, a high homeownership rate, and high educational attainment levels. It is also home to renowned companies and institutions like John Deere, Serta, TaxSlayer, and Club Car. This area along the Savannah River had been inhabited for thousands of years by various cultures of indigenous peoples, including the Muscogee-speaking Creek; the Yuchi; and the Iroquoian-speaking Cherokee for years prior to European colonization. During the Colonial era, settlement of what would become Columbia County, Georgia occurred primarily due to colonists from northern Scotland and the Orkney Islands. 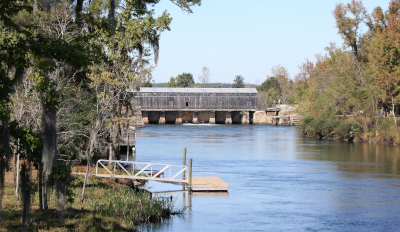 In the early 1800s the Georgia Railroad came to the region, as did the Augusta Canal, which was created to harness the water power at the fall line of the Savannah River to help drive mills, provide transportation of goods, and provide a municipal water supply. Prior to the American Civil War, plantation agriculture was the major force of the economy in Columbia County, Georgia. Cotton production had expanded dramatically after the invention of the cotton gin, which enabled the cultivation of short-staple cotton in the upland areas. Numerous vast plantations existed, and the central houses of some still exist. Thousands of slaves were brought to the county for labor, and, at times, the slave population outnumbered the free white population. The county was still primarily agricultural up until World War II, at which time the U.S. Army built Camp Gordon, now Fort Gordon, taking over a large portion of Richmond County and parts of Columbia, McDuffie, and Jefferson Counties, as well. The Army’s keeping the base after WWII, created a new population and economic center for the county. During the 1950s, the Clarks Hill Dam was constructed, submerging considerable land in northern Columbia County under the new reservoir, while prompting new residential development around the lake. Between 1950 and 1990, Columbia County, Georgia’s population increased dramatically. Agriculture declined, as farmland was redeveloped as suburban housing and community centers for persons employed in Augusta. Numerous personnel stationed at Fort Gordon also eventually settled in the area. Today, Columbia County, Georgia contains two small incorporated cities, Grovetown and Harlem; three major unincorporated communities, Appling, Evans, and Martinez; and 18 smaller, unincorporated communities. Columbia County, Georgia also recently embarked upon a public/private partnership with a local developer, Meybohm Commercial Properties, to build a downtown concept called The Plaza, on 26 acres in the heart of Evans that’s owned by the county. The Plaza will be a mixed-use development, comprised of six buildings covering 150,000 square feet – a combination of professional offices, restaurants, and retail. The complex will be anchored by a new, $30 million, 2,300-seat Performing Arts Center that the county is building as part of the partnership. County officials are also considering an open-air space for a farmers market and a playground at the back of the property that will double as space for additional parking when needed. The entire project will be connected by a promenade, with the Performing Arts Center as the focus. Check out this handpicked feature on St. Johns County, Florida – Growth and opportunity. 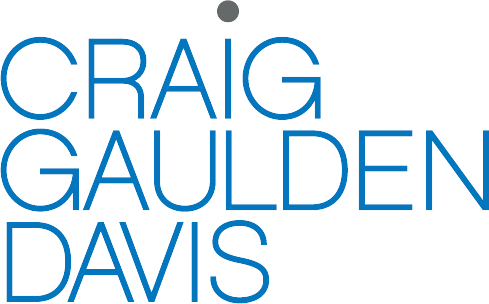 Craig Gaulden Davis is an architecture and interior design firm with a 61-year legacy of placing the highest priority on client success. By harmonizing form and function, our architectural response results in enduring and innovative spaces that cultivate human flourishing.